When someone you love is diagnosed with mesothelioma, it is only natural to worry about the pain they might suffer. You may even feel a bit helpless, thinking there is nothing that you can do to help. There is a lot you can do to help your loved one manage pain. First, though, you need to know more about pain and cancer: some basic facts, what causes pain and what medications do for pain. One out of every three people with cancer experiences cancer pain. There is more than one type of pain. Different types of pain include: dull, sharp, tingling, aching, burning and throbbing. Not all pain responds to the same medication. When describing pain to the doctor, it is important to specify what type of pain it is so that the appropriate medication can be prescribed to control it. Not all pain has the same intensity. The cancer itself, or from parts of the body where the cancer has spread. A tumor putting pressure on nerves and organs. Surgery, radiation and chemotherapy treatments. Note: Not every cancer patient experiences the same type of pain, therefore medication prescribed by their treating doctor will be specific to their needs. If the patient is not experiencing strong pain, the doctor may suggest over-the-counter drugs such as aspirin or naproxen. If, however, the pain becomes chronic, stronger medication may be required to control the pain. Painkillers from the opioid family (drugs that have a morphine-like effect) have proven to be very effective for the relief of pain associated with cancer, and these types of medications are commonly prescribed by doctors for cancer patients. While many cancer patients experience chronic pain, only a small percentage of them have adequate pain relief. Unrelieved pain can cause short concentration span, sleep disturbance, anger, anxiety, feelings of isolation and depression. Sadly, many people are suffering chronic pain unnecessarily due to a fear of addiction and the common belief that large doses of methadone or morphine will cause sedation and prevent people from functioning normally. Taking morphine or methadone for pain associated with cancer must not be compared with drug addiction. Correctly prescribed, opioid medication does not result in a “high” nor does it result in sedation. Chronic pain effectively “uses up” the medication. From my personal experience of caring for my husband, Brian, I can confirm the effectiveness of morphine, methadone and hydromorphone for controlling mesothelioma cancer pain. I can also confirm that it does not make someone sedated or unable to function normally. Thanks to morphine and later methadone and hydromorphone, Brian was able to achieve remarkable pain control, and despite taking these medications on a regular basis, he remained active and alert, drove his car for 18 months after diagnosis and did not become bed-bound until three short days prior to his death. These drugs can often be taken orally, so they’re easy to use. Medications may come in tablet form, or they may be made to dissolve quickly in the mouth. They may also be taken intravenously, rectally or through the skin using a patch. When taking opioid medication for the first time, there may be initial feelings of confusion and lethargy. This is caused by the body becoming accustomed to the medication, and it usually goes away after the first few doses. This was true of Brian; after his first dose of methadone, he was slightly confused and disoriented. His doctor explained to us that this was a normal reaction to the drug being introduced to the body. Over the next two administrations, the amount per dose was regulated and Brian had no further symptoms of confusion after that. Before good pain relief can be achieved, you need to know and understand what pain your loved one is experiencing. Encourage your loved one to talk to you and explain how you can help. A pain scale using the range of 0-10 is a simple but effective tool that can be used to determine severity of pain. No two people have the same tolerance to pain, so using a pain scale allows for individuals to communicate the intensity of the pain they are experiencing. For example: 0-3 slight pain, 3-5 moderate pain, 5 to 7 strong pain, 8-10 extreme pain. Encourage your loved one to communicate to you the type of pain they are experiencing and its intensity by using the pain scale. Why Do I Need a Daily Journal and How Do I Use It? To effectively help your loved one to control their pain, you need to keep a daily record of the medications your loved one is on, as well as any pain or symptoms they may be experiencing. The purpose of this journal is to provide the treating doctor with an accurate record of your loved one’s pain and symptoms so that he or she can determine the type of medication needed and its dosage to bring your loved one’s pain and symptoms under control. Purchase a simple journal or notebook, and make out a page for each day. Divide the first half of each daily page into four columns. Using the example below, list the medications your loved one is taking, as well as the dose and the time it is to be administered. After the medicine is administered, place a check mark in the last column. This will eliminate any fear of missed doses. The second half of the page is for you to write your notes, and this is a very important part of pain control. Here you need to write down any symptoms your loved ones is experiencing on the day, as well as any “breakthrough pain” that they are experiencing. Breakthrough pain is a term used to describe pain that “comes through” despite regular pain control medication being taken. Whenever you are writing about pain in your journal, remember to include the time it occurred and its intensity using the pain scale. It is also very important that you write down the type of pain your loved one experienced. This will help the doctor to determine if another type of pain relief medication is needed. John had “breakthrough” pain today, at 11 am, two hours after his pain medication was taken. John said that it was a stabbing pain and that the intensity was 5 on his pain scale. 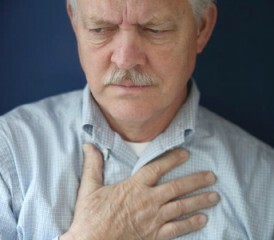 John has been complaining of a tingling pain in his chest all day. It has not gone away despite his regular pain medication and is about 2 on his pain scale. John is having a really good day today, no breakthrough pain. The new medication seems to be working well. Remember to write in the journal as suggested each and every day, and always take it with you when you and your loved one visit the doctor. The doctor will greatly appreciate your input, as it will help him or her to accurately determine how your loved one is coping with their disease and what medications and dosages are necessary to keep their pain and symptoms under control.